Preventing falls is a top priority for any construction worksite. 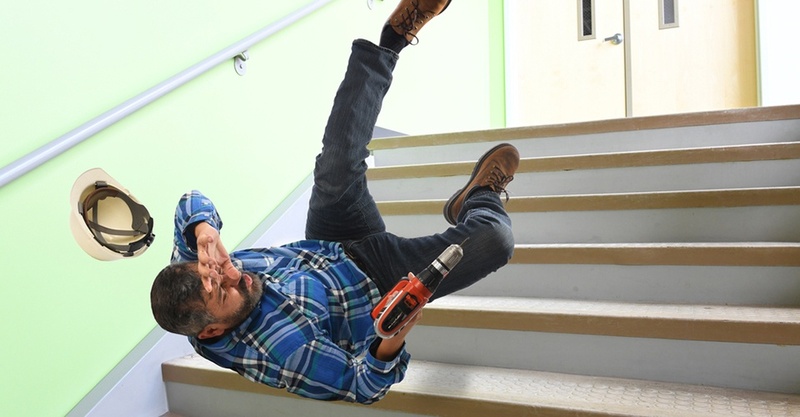 Frequently claiming the top spot on OSHA’s top 10 safety violations list, fall accidents and fatalities are nevertheless preventable through a mix of training, safeguards and adherence to best safety practices. Any workplace can hold a stand-down by taking a break to focus on "Fall Hazards" and reinforcing the importance of "Fall Prevention". Employers of companies not exposed to fall hazards, can also use this opportunity to have a conversation with employees about the other job hazards they face, protective methods, and the company's safety policies and goals. It can also be an opportunity for employees to talk to management about fall and other job hazards they see. Think about asking your subcontractors, owner, architects, engineers, or others associated with your project to participate in the stand-down. Consider reviewing your fall prevention program. This will help provide a more effective stand-down. Follow up afterwards. If you learned something that could improve your fall prevention program, consider making changes. This course teaches important safety tips for eliminating fall hazards in the work environment, as well as information about fall protection equipment. It features professional stunt people demonstrating falls in a variety of environments. Some accidents don’t allow you the time to learn from your mistake. Falling from a dangerous height is one accident that rarely offers you a second chance. This program teaches your employees the importance of using the correct fall protection. The informative video provides a detailed illustration of the various types of fall protection and how to properly use them to avoid a deadly fall. This video covers safe construction of temporary stairways and job made ladders for construction sites. It also covers safe use of ladders on the job site. For more information on these or any of our workplace safety courses, give us a call at 800-447-3177 today or explore our website at www.hsi.com. To schedule a demo of the Encompass EHS platform, click the button below.